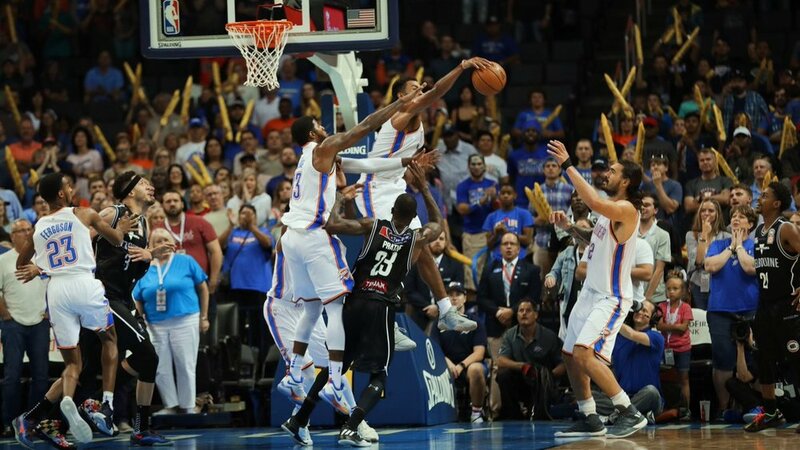 Sunday's matinee game went just as expected, a little sloppy and uninspired early on but the relentless fight from this Thunder team ended up benefitting them enough to pull out an 86-85 victory over Melbourne United, thanks to Josh Huestis. A roster spot isn't sufficient enough for Huestis anymore. He deserves playing time and if Billy Donovan knows what's good for this Thunder team, he'll make that happen. Yes, Huestis primarily plays the power forward position and the Thunder are pretty stacked on that front. There's Patrick Patterson who will be the first power forward off the bench, then there's still Jerami Grant who will demand playing time as well and rightfully so. The issue seems to be that the Thunder like Grant's upside a little bit more than Huestis. However, there has to be an opening for a Huestis-sighting during some juncture of the game, not including the end of the game when the team is up 30. Even if that means trying him a little at the small forward position or in a smaller lineup, at the post position, he needs to see the floor more frequently. Him playing at the small forward position could be beneficial but it all depends on if the defensive presence he displays in the post translates over to the perimeter, which could be a struggle for him. Josh isn't a guy to rack up all the points or get every rebound and that's probably why OKC's fanbase hasn't pushed this agenda as much. He's a guy that does all the things that don't show up on the stat sheet and although that's a cliche, it's a true fact. Against Melbourne, he finished the game with 2 points, 2 rebounds, and 4 blocks. Two of those four blocks happened in the final 10 seconds of the game when Melbourne tried desperately to hit the game-winning shot, right under the basket. Huestis also finished with the highest plus/minus stat off the bench at plus-5. After being drafted 29th in 2014 by the Thunder, Huestis went two seasons with the Thunder G-League affiliate, Oklahoma City Blue and last season was his first making the Thunder's regular season roster. It is time for a change. Huestis has to see the floor a little bit more than he has in the past and it's up to Billy Donovan to figure out how that can be done. Just like a few other former Thunder players, it would be unfortunate to see a talent like this slip away from us and become a productive piece on an opposing team.